The right adrenal fatigue supplements can make a world of difference in improving your symptoms. Find out which six supplements are the top recommended by professionals to help heal your adrenal fatigue. If you have adrenal fatigue, recovery is so important since the constant tiredness can be debilitating to your work, family, health and social life. You wake up tired in the morning, you feel like you need a nap around 3pm and you feel wired but tired at night rendering yourself unlikely to sleep well during the night. Does this scenario sound familiar to you? This is all too common for those suffering with adrenal fatigue. The adrenal glands, walnut-shaped organs that are found above the kidneys, are responsible for producing stress hormones such as cortisol, epinephrine and norepinephrine. When released in the right amounts, all of these hormones serve a useful purpose. Normally, the stress hormone cortisol is naturally high in the morning, as one of its purposes is to keep you alert. It continues to decline throughout the day and cortisol is lowest at night, when you want to wind down to sleep. When you have adrenal fatigue, however, the production of cortisol could be too high or too low at different times of the day. This is why many people with adrenal fatigue may feel extremely tired in the morning and wired at the end of the day and cannot fall asleep. This is because cortisol is not functioning normally. This causes a vicious cycle in which you wake up feeling tired with decreased levels of energy throughout the day. It is estimated that 75-90 percent of visits to primary care physicians is related to either acute or chronic symptoms of stress. Stress is the natural response of the body when it feels that it is in danger. Imagine that you are about to be attacked by a bear. The body shuts down processes like digestion and pumps out stress hormones to make you more alert to run for your life. Once the danger has passed, the stress hormones decrease and everyday processes like digestion resume. This scenario is called the “fight or flight” response and it is critical for dangerous situations. However, in today’s fast-paced society with long commutes, deadlines, financial obligations, sedentary lifestyles, the “fight or flight” response is happening all day, every day. 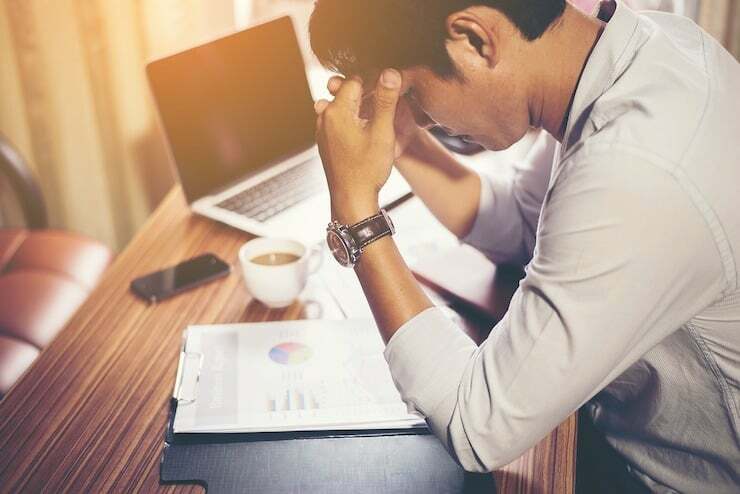 Unfortunately, this chronic low-grade stress is a recipe for developing adrenal fatigue, which is the underlying culprit to many chronic diseases like cardiovascular disease and immune insufficiency. In addition to supplements that can help with adrenal fatigue, you can also tweak your diet in order to be cohesive with the natural cycles of adrenal hormone release. Know which foods to include in your diet and which to avoid. Stay away from these foods that can actually make your condition worse. Include these foods to foster healing. 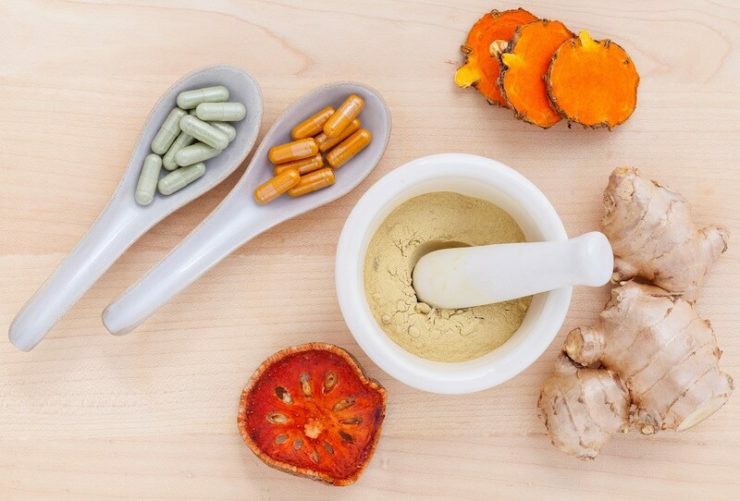 Before you start taking sleeping pills or other medications you typically use to calm your nerves, there are natural supplements you can try, along with dietary changes, that will boost optimal adrenal functioning. This will help you to sleep better, gain energy and enhance immune function. Ashwaganda, also known as Indian ginseng, is an adaptogenic herb known to decrease symptoms of stress. In animal studies, ashwaganda counteracted the symptoms associated with extreme stress, including changes in blood sugar, adrenal weight and cortisol levels. It also decreased symptoms of depression and anxiety-associated behavior. Ashwaganda is being studied as a means to counteract stress stemming from chemotherapy and radiation therapy. Results look promising in that the herb stimulates stem cell proliferation and improves red blood cell, white blood cell and platelet parameters. What’s the best way to take ashwaganda? Since ashwaganda seems to have a calming effect, it is recommended to take this supplement before bedtime. Rhodiola rosea is another adaptogenic herb that is known for its ability to affect hormones like serotonin, dopamine and norepinephrine. In a double-blind, randomized, controlled trial, sixty subjects with stress-related fatigue were given a standardized proprietary Rhodiola rosea product (576 milligrams of Rhodiola rosea) or placebo in two daily doses (morning and lunchtime) for twenty-eight days. The Rhodiola group experienced improved concentration associated with decreased stress related fatigue and significant decreases in salivary cortisol compared to the placebo group. Other studies have shown Rhodiola to improve fatigue and mental performance in physicians on night duty as well as improved physical fitness, psycho-motor function, mental performance and general well-being in students. What’s the best way to take Rhodiola? Be sure to take the well-researched form of Rhoodiola called Rhodiola Rosea. Avoid any supplements listing “Rhodiola spp“ since it doesn’t tell you which kind of rhodiola you are getting. Along with the supervision of a doctor or naturopath, it’s best to try out 200-300mg per day of rhodiola rosea standardized to at least 3% rosavins. Licorice may work synergistically with cortisol to help improve energy. In other words, this may be an ideal herb for people who do not produce enough cortisol. The medical journal Molecular and Cellular Endocrinology found that licorice root aided the body in effectively regulating cortisol. What’s the best way to take Licorice? Since licorice can boost cortisol production, this supplement is best taken in the morning when cortisol levels should be at their highest. However, for some people licorice can be too energizing and affect sleep. It’s important to know your cortisol levels with salivary testing to see where you are at and look over it with a naturopathic doctor or experienced nutritionist. Get a recommended licorice tincture here. Holy Basil leaf is another herb that is documented for its stress-relieving, neuroprotective and cognitive enhancing effects. In a human study, participants given 300 milligrams of Holy Basil extract over thirty days saw marked improvement in cognitive function as well as salivary cortisol levels. The compounds within holy basil have been studied to help anti-stress activity. What’s the best way to take Holy Basil Leaf? Holy basil can be taken in the form of a teas known as tulsi tea. However, to get a stronger therapeutic benefit, a tincture or supplement can be helpful. Generally 300-600mg per day is recommended. Phosphatidylserine is a phospholipid found in cells that plays an important role in muscle metabolism and immune function. It has been shown to balance cortisol overproduction, especially following intense exercise. Several studies done on male athletes showed that PS decreased the production of cortisol after intense exercise. What’s the best way to take Phosphatidylserine (PS)? Be sure to get phosphatidylserine and not “phosphorylated serine“. Generally it is recommended to start with 300mg daily for the first month, spreading it out by taking 100mg with each meal. After that, maintain with 100-200mg once a day. Tyrosine is an amino acid that is a precursor to neurotransmitters such as dopamine and norepinephrine. Stress causes the depletion of these neurotransmitters. By aiding these neurotransmitters, Tyrosine can help support your response to stress. Supplementing with tyrosine will reduce the decline of dopamine and norepinephrine and can improve performance in times of stress. What’s the best way to take Tyrosine? It is recommended to take 500-2000mg of tyrosine in between meals or before a stressful event. Lower doses are needed for those with lower body weight and higher doses for higher body weight. It can be hard to know the right supplements to take to recover from the crippling fatigue that is a tale-tell sign of adrenal fatigue. Depending on if your cortisol is too high or too low, you may want to take different actions. For example, if your cortisol is too high you may want to avoid taking stimulation supplements like licorice. The best way to know how to rebalance is to test your adrenals with a salivary cortisol test. This is the best way to know whether your cortisol is too high or too low and will help you know what to do to get your energy back. Unfortunately, most regular doctors don’t offer this test, so you can either ask for one from a naturopathic doctor or order one yourself from True Health Labs like I do (this is the at-home test kit I get– use my code HEALY5 for 5% Off). I get my adrenal testing done with True Health Labs and test every so often especially when I’m feeling extra fatigued and think something might be going on with my cortisol. I then go over the test with my nutritionist to figure out a plan of action and decide which supplements would help be based on my test results. If you don’t have a nutritionist or naturopathic doctor yet, using the tools in the The Adrenal Fatigue Solution book to help you understand your cortisol test can be very helpful as well. True Health Labs offers a discount on their Thyroid and Adrenal tests to Healy Eats Real readers. Use code HEALY5 at checkout! 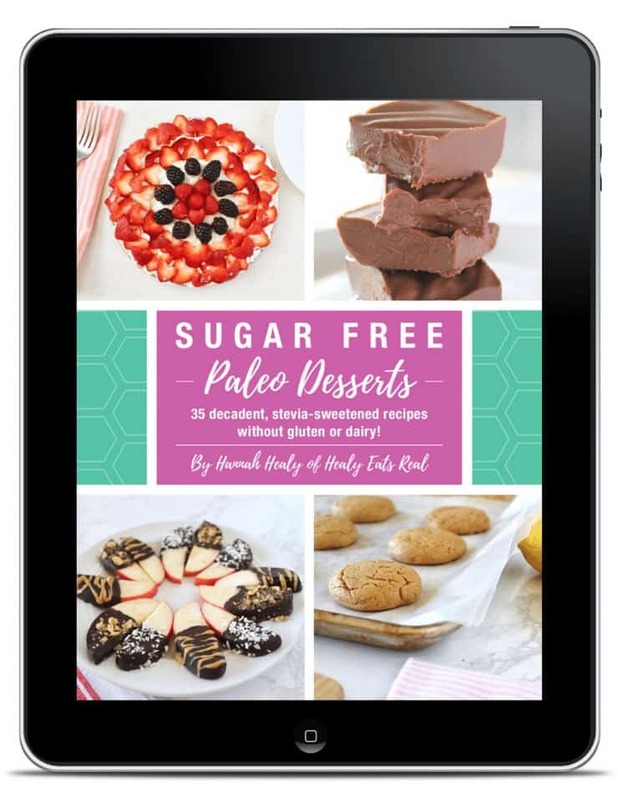 Karin B. says…”Before I read The Adrenal Fatigue Solution, I was pretty depressed—I was still sluggish and still struggling with this weight gain and still needing my supplements. Monteleone P, Beinat L, Tanzillo C, et al. Effects of phosphatidylserine on the neuroendocrine response to physical stress in humans. Neuroendocrinology 1990;52:243-248. 89. The right adrenal fatigue supplements can make a big difference in your symptoms. 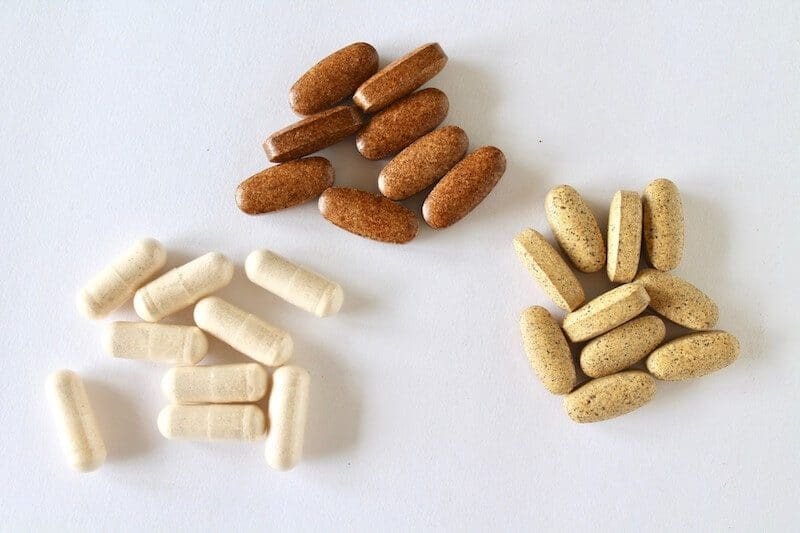 Find out which six supplements are recommended for healing adrenal fatigue. What an informative article! I’ve been experimenting with some of these herbs, and I’ve wondered whether it’s best to take one for a period of time then switch or just take different ones every day. Is there any standard wisdom about this? Thanks! Good question Susannah! It really depends on you individually and what is going on with your cortisol levels. That’s why it’s a really good idea to do a salivary cortisol test and work with an experienced nutritionist or naturopathic doctor. 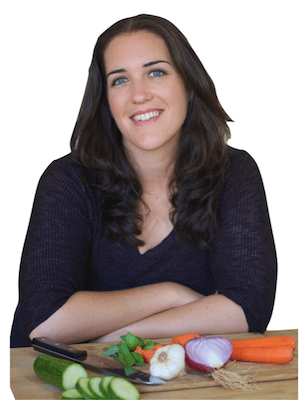 Mary Vance (http://maryvancenc.com) is a great nutritionist who I’ve worked with over the phone/skype. I feel like I struggle from adrenal fatigue, which I’m sure most American’s do. I use several supplements to support my adrenals including licorice but I don’t think it’s enough. I’m going to try adding some of these in, thanks for sharing! It depends on your specific needs. I would recommend consulting with a naturopathic doctor. Is there such a thing as having too high of a cortisol in the morning or too low at night? Also I have tried so many supplements, ashwaganda, rhodiol and all that, but i cant help but to feel OVERstimulated with them and my heart starts racing. Do you know anything about paradoxical reactions? Yes, it is possible to have too high cortisol in the morning and too low at night. It can really be all over the place. It’s also definitely possible to have those reactions with those supplements, sometimes people can overdo it and get too high cortisol which can cause issues like anxiety and insomnia. 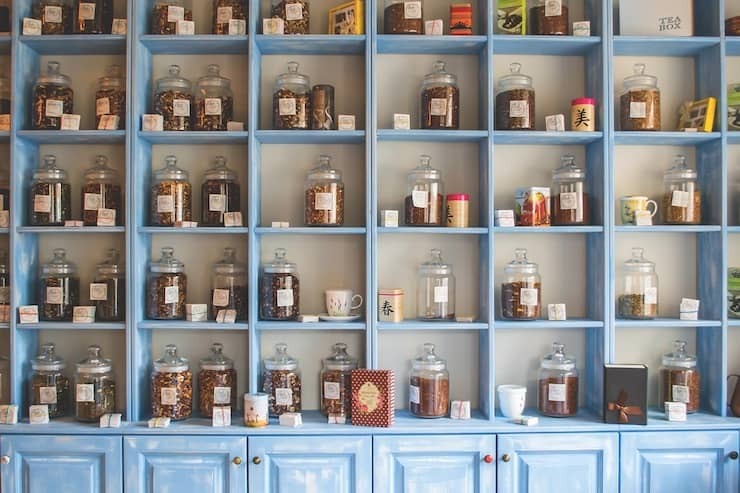 We all react differently to herbs and supplements so it’s important to listen to your body and work with a professional. I would recommend working with a naturopathic doctor and doing a saliva test to see where your cortisol levels are. 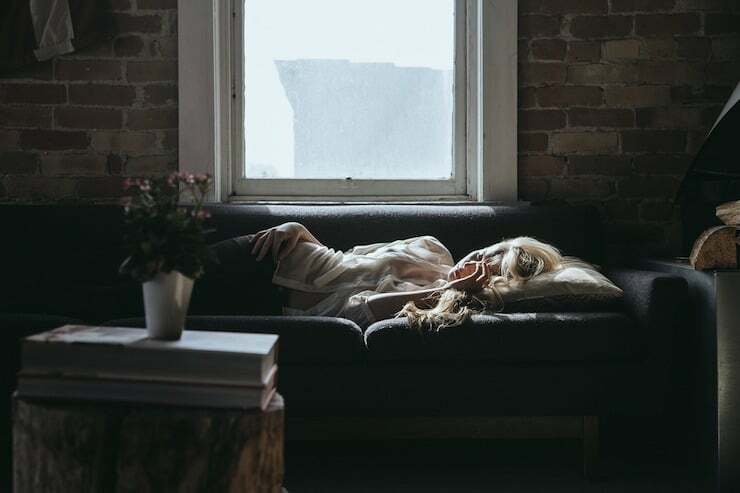 Adrenal fatigue can be a real issue for some people so this is an essential blog post for anyone who has a similar problem, thanks for a great article. Hi Janie, Since everyone responds so differently to supplements I think it can be helpful to take separate supplements (rather than blends) for about 30 days to see how you react to each one and see if it helps. It’s also a good idea to find a good holistic nutritionist or naturopath to work with since other issues may also need to be addressed to support healthy adrenals and hormones. Best of luck! I have Thyroid/Adrenal/Cortisol problems. Have had this problems for over 35 years. recently was diagnosed with Heavy Metal Toxins, along with that I have 3 injuries. Every day the pain I am in is extreme. I push myself to find answers and some sort of treatment. I have tried so many supplements, prescriptions, physical treatment all to still be very ill. Any idea’s as to what I could take to help my adrenals heal would be appreciated. We have been to several Dr’s, natural path, Chiropractor,s, Nutritionist, Acupuncturist, Functional medicine Dr, osteopath, Physical therapist. Thank you! good post Hannah, i’m a fan. I’ve tried all the above and hm, i think they work ok. I think when one struggle with chronic fatigue for a long period of time, there is something more fundamental that is wrong. Great multivitamin really helps. I’ve found a wonderful blend, 8bioenergy from Amazon that i’d like to add to this list.